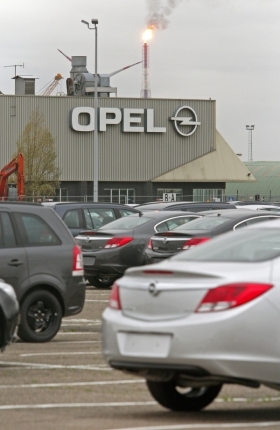 Despite Opel's closure of its plant in Antwerp, Belgium, analysts estimate that carmakers still have up to 5 million units of overcapacity in Europe. Europe's vehicle assembly network will undergo more sweeping changes starting this year. Mitsubishi's assembly line in Born, Netherlands, is expected to go quiet at the end of 2012 while Volvo will stop making cars at its plant in Uddevalla, Sweden, in 2013. Industry watchers say that the other European car plants at risk of closure include PSA/Peugeot-Citroen's factories in Aulnay, near Paris, and Valenciennes, northern France; Fiat's Mirafiori plant in Turin; and Opel factories in Bochum, Germany, and Ellesmere Port, England. Why all the change? Because analysts estimate that Europe has 2 million to 5 million units of overcapacity. In 2007, about 16 million cars were sold in Europe while the 2012 total is likely to be below 13 million. To address this problem, Opel, Fiat, Karmann, Pininfarina, Saab, Santana, Heuliez, LDV and Bertone have closed plants or stopped producing models in Europe since 2008. The cuts, however, did not go deep enough, according to Ford of Europe CEO Stephen Odell. "The capacity issue [in Europe] was not addressed during the past recession," he said. For a look at Europe's production network, please click on the PDF above.